We use a process at RMC to help families and business teams create a shared vision and a plan to achieve it. We start by asking a very basic question: What do you want? Each participant answers individually by writing several short statements describing how they’d like things to be in three to five years. Once everyone has done their best to answer the question, we start looking for statements with a common theme. We work with participants to help them describe the interests that underlie the positions they’ve described. Through this process their individual answers are transformed into a statement of what the whole team or family wants. It can be a very powerful process. As I’ve helped families navigate this process I’ve learned that “What do you want?” is not as easy a question to answer as you might think. Most people either limit their thinking to what they think they can have or describe what they don’t want rather than what they do want. For example, they are likely to write: I don’t want to be in debt, as opposed to: I want to be financially secure. I’ve also noticed that Mom tends to struggle with this question more than anyone else in the family. It’s perfectly understandable when you think about it. Right or wrong, in most ranch families Mom’s role is to support everyone else, especially if she marries into a ranch family. She often gives up her own career, or puts it on hold, to start a family. If she keeps her town job it is often because the farm isn’t making enough to pay a living wage or provide health insurance. But Mom does a lot more than work in town. She does a lot of thankless work on the ranch…what I often call the Vice President of doing things no one else wants to do. She often sets her own needs aside to support her husband who, after a long day, isn’t in the mood to talk about anything except what’s for dinner. When the kids are young, it is Mom who sets her own needs aside to support and nurture them. As the kids get older she’s running this way and that, taking them to 4-H and basketball and music lessons, the emergency room and sleepovers. Meanwhile she’s paying the bills, keeping the checkbook, putting food on the table, clothes on the kids and cleaning up after everyone. She’s also worrying about the drought, the debt, Dad’s stress and the agreement he made to lease a property 100 miles away that he didn’t tell her about until the day before they were shipping cattle there. Of course this won’t go on forever. One day the kids will grow up and become more independent. That doesn’t mean she stops worrying about them. Then, as our kids grow our parents age, Mom’s role as caregiver often shifts to supporting the folks…hers and her husbands. I’m not saying Dad doesn’t pitch in. He usually does…but not like Mom. She spends so much of her time focused on what other people need and want that it’s likely she’s never seriously considered what she wants herself. If she has, she probably felt guilty for doing it and got back to thinking about everyone else as soon as she came to her senses. I remember facilitating the vision process in a family meeting in which Mom was having a tough time answering “What do I want?” Her answers consisted mostly of the kids being happy, having opportunities to come back to the ranch, and for her husband to be happy. When I asked, But what do you want for yourself? she was stuck. Mom’s struggle describing what she wanted created more than a little frustration with Dad, who had a much easier time answering the question. His impatience only made it harder for her. I suggested that maybe it was difficult for her because of some of the issues I’ve described in the previous paragraphs. She nodded without speaking as tears flowed. Add to this a culture in agriculture that is dominated by men. That’s not to say that there aren’t successful and influential women, but for the most part they became successful in spite of the culture, not because of it. This was driven home to me about 15 years after my wife and I bought Ranch Management Consultants from Stan Parsons and I became responsible for the Executive Link program. I called each EL member and asked them why they were a member and what value they got from the program. One call was to a woman who’d been in EL for about 5 years. When I asked why she was in the program she answered, “because as a woman in agriculture it is the only place where I am taken seriously.” Having been raised by a single mom, her response resonated deeply with me. 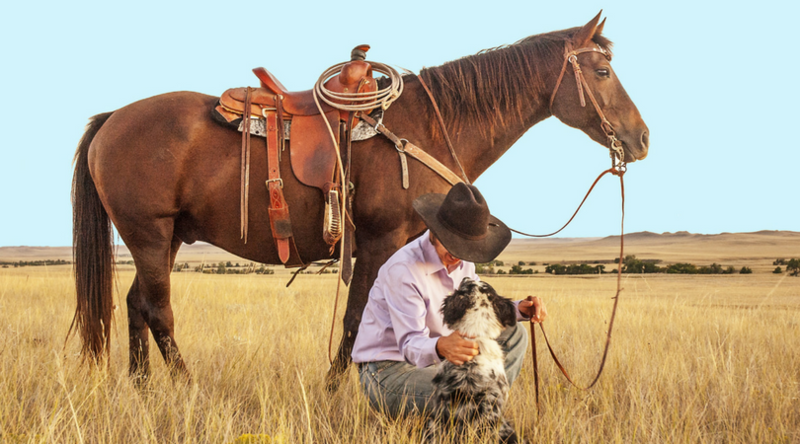 Things have changed in the last 15 years, but ranching is still dominated by men and the role of women often isn’t acknowledged or fully appreciated. At the Ranching For Profit School our participants work in teams. About 20% of our participants are women. We do our best to make sure there is at least one woman in every team. We find that those teams are much more effective than teams with only men. This has convinced me that if women had a bigger voice in our businesses and our industry we’d be the better for it. I don’t mean to paint Mom as a victim here. Our lives are shaped by circumstances and the choices we make. Mom is no exception to this. I’m very grateful for the choices the women in my life have made. I’m just suggesting that Mom’s road is at least as tough, maybe tougher, and definitely less appreciated and less understood than Dad’s. This article truly resonates as a mom and a wife, it doesn’t just apply to agriculture it applies to most fields of work as well. It is so great to read an article like this, especially from the observations of a successful business man. Thank you Dave Pratt!! This touched me deeply. Thank you for posting. Much of this resonates with me. RMC often touches the depth of issues that the rest of us cannot put into words. It helps form my thoughts of “what do I want”? Thank you again Dave and your team for helping others with the ongoing process of relationship of the People and the Land!